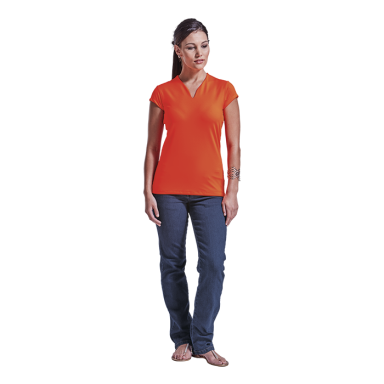 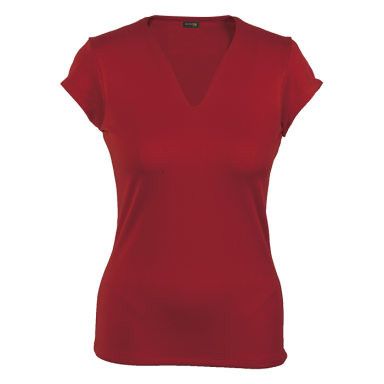 A stylish V-neck T-shirt, perfect for the active lady. 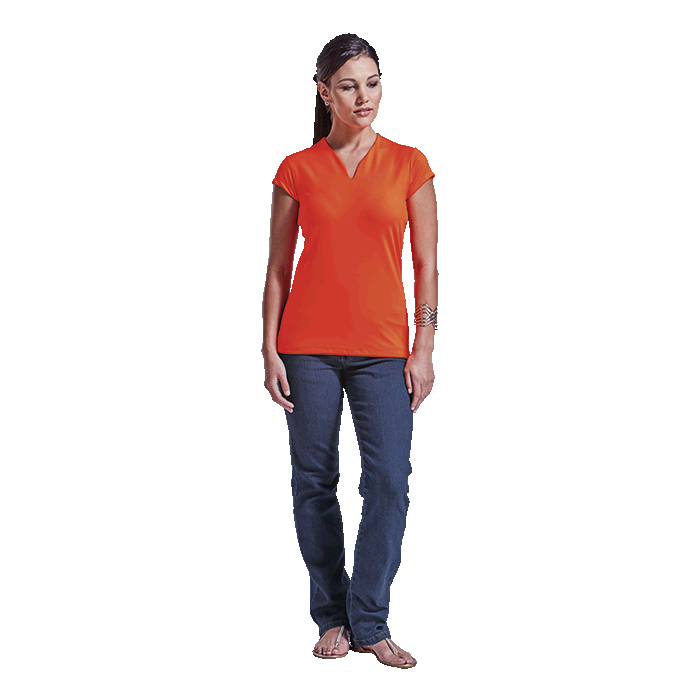 Slim lines and an elegant fit make it great for a high-intensity workout or a casual walk in the park. 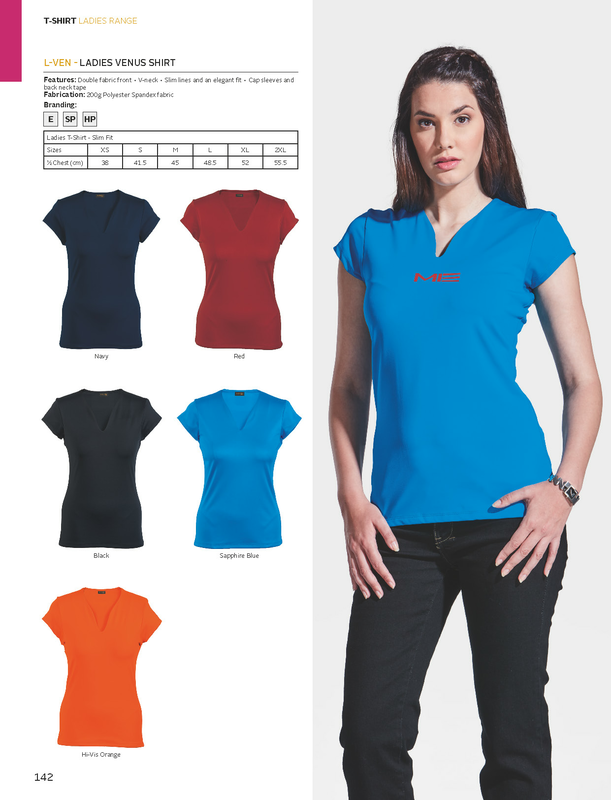 Features include cap sleeves and back neck tape.